Is Homeschooling a Frugal Option? When most people think of homeschooling families, for some reason they like to envision dirty, poorly educated children who lack social skills and would fail state level testing. Did you know that homeschooling appears to be the fastest growing form of education? In fact, the growth rate for new homeschooling students is seven to fifteen percent per year. Over two million children are homeschooled in the United States every year – my children included. And guess what? Most kids who are homeschooled in our country are clean, social butterflies, who statistically score higher than their state school counterparts. The best part is that parents are able to accomplish this on a budget. Before my kids were born, I always thought about the potential to homeschool my kids someday, but I also liked the idea of sending my kids to a private school such as I attended as a child. In 2014, our lives changed dramatically when we relocated for my husband’s job. We now officially live in the middle of nowhere America where my husband has a fantastic job that he loves, but our schooling options pretty much flew out the window. The district we are zoned for happens also to be the worst school district in our state (I promise I’m not exaggerating). They have the lowest scores and the worst performance among students in the entire state. The only private school within driving distance also happens to cost $12,000 per year for kindergarten through high school (so not in our budget). I was backed without much choice into the proverbial homeschooling corner. I knew I wanted better for my kids’ education than what our local school have to offer, and I also know that I am qualified to teach my children. 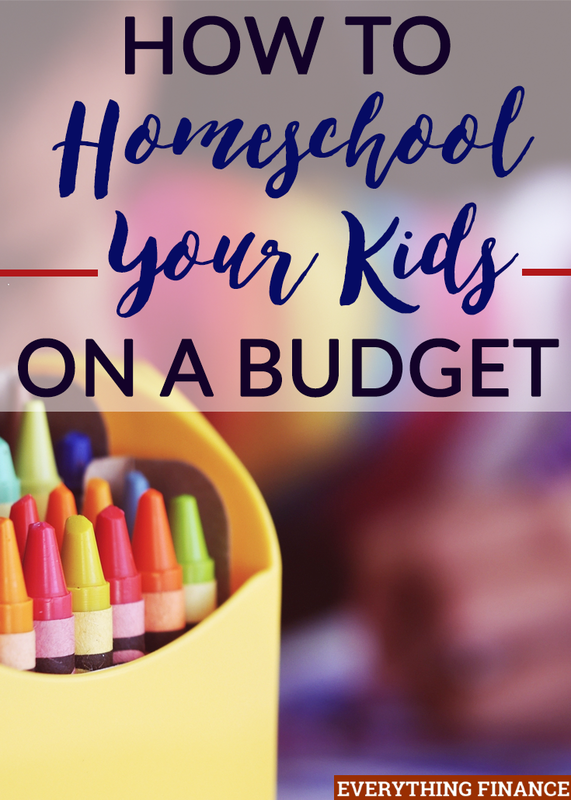 We are on a pretty tight budget, though, so not only did I have little choice but to homeschool my kids, but I also have to do it on a budget. Homeschooling can cost as much or as little as you want it to. When you’re first starting out, you may spend a bit more on supplies than you will in subsequent years. It also depends entirely on whether you’re willing to put the effort in and create your own curriculum or if you would rather spend hundreds or thousands of dollars on a complete, books-included curriculum from a brand name school or homeschooling company. We might go with the pricier all-inclusive curriculums in the future, but for now, to keep costs low, I am going to create my own curriculum for my kids. For example, I chose to build a homeschool preschool curriculum on a budget by piecing together my own curriculum with various workbooks and activities. It really doesn’t cost much to homeschool a preschooler. This year for kindergarten, we are using a combination of Hooked on Phonics (which I bought used), a couple different workbooks, our home library, and the public library for all of our homeschooling curriculum needs. If technology is something that your kids enjoy, paying for certain programs and mobile apps can be a great way to supplement your homeschool curriculum. We have chosen to purchase a subscription to both ABCmouse.com and Starfall.com early learning programs for our daughter. We have also bought several different reading apps that our daughter loves to play with, such as Endless Alphabet and Endless Reader. All of these programs and apps combined cost us way less than $100 per year, and they were costs I gladly paid to help supplement my daughter’s education. Yard sales are the perfect frugal teacher supply store. So far I have bought all of my daughter’s arts and crafts supplies for less than $10, a microscope for $15, and the entire Hooked on Phonics series (Kindergarten, first grade, second grade, and math – four kits) for $30. For $55 we are set on the basics for at least another two years. Is there a lost income cost? You may be the most frugal homeschooling parent in the world, but if you’re losing out on income, then you’re not doing yourself or your kids any favors. I live in a rural area where the jobs are few and far between. Because of our unique situation, I have decided to work from home as a freelance writer while also raising our kids and attending to their schooling. I’m not losing out on any income opportunities by homeschooling my kids. If I had a high-paying job and was able to afford that $12,000 per year private school, you’d better believe that they’d be out the door. If you like the idea of homeschooling your kids, don’t let the worry about costs prevent you from homeschooling. Homeschooling is only as expensive as you choose to make it. Most of what you need can be found used, at the public library, or very inexpensively online. When I first started homeschooling, I did worry about the costs. Compared to my alternatives of the worst school in the state or a $12,000 a year private school, I knew I had no real choice but to strap my frugal boots on and do the best I could for my kids with the resources available to me. If you want to homeschool your kids, I promise you that there’s a way to make it work, both logistically with income and with a frugal budget. If you want homeschooling to be an option, it can still be a frugal option. Have you ever thought about homeschooling your kids? If you do homeschool, how do you keep costs low? Did you think homeschooling was expensive?